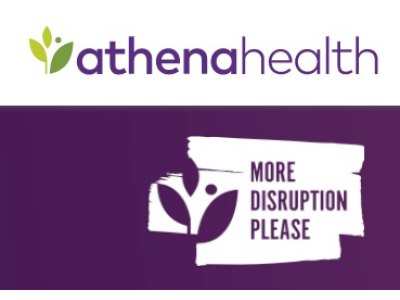 Reston, VA – February 27, 2018 – Avizia, the leader in powering system-wide telehealth, today announced a partnership with athenahealth, Inc. through the ‘More Disruption Please’ (MDP) program. As part of the athenahealth® Marketplace, Avizia’s telehealth platform is now available to athenahealth’s growing network of more than 111,000 healthcare providers to power their telehealth strategies. athenahealth is a network-enabled, results-oriented services company that offers medical record, revenue cycle, patient engagement, care coordination, and population health services for hospital and ambulatory clients. The company’s vision is to build a national health information backbone to help make healthcare work as it should. As an MDP partner, Avizia joins a network of like-minded healthcare professionals who are looking to disrupt established approaches in healthcare that simply aren’t working, aren’t good enough, or aren’t advancing the industry and help providers thrive in the face of industry change. To learn more about Avizia’s new integrated application, please visit Avizia’s product listing page on the Marketplace.